Here is a link to a slide show from our opening event for Heidi Van Impe’s & Peter Allan’s show, “Shadows & Light”, June 14, 2012. 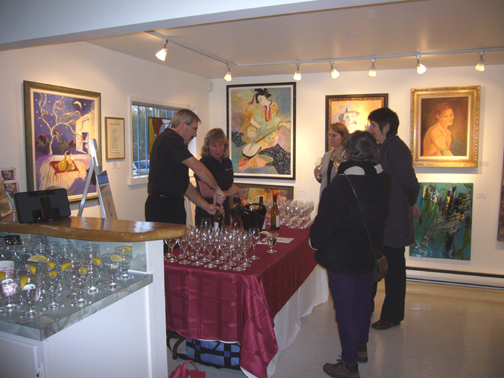 The Salt Spring Artists’ Gallery of Fine Art held their Grand Opening Show on Thursday, September 17, 2009. Over 120 member members of the Salt Spring Island community joined the artists for an evening of art appreciation and conversation. The first guests arrived at 4:30 pm and the event continued on until after 7:00 pm. Thanks to all the art lovers who joined us in celebrating the opening of the gallery.